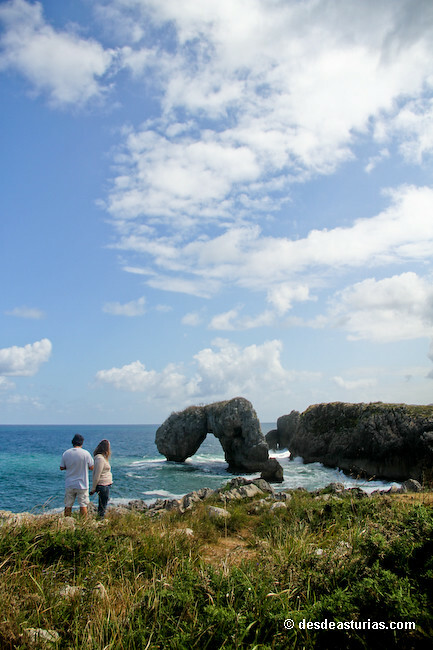 More than thirty beaches are spread along this coastal site where one can enjoy not only the beaches but also the cliffs, the capricious sculptures of limestone and the quiet subterranean caves, which one can relax. 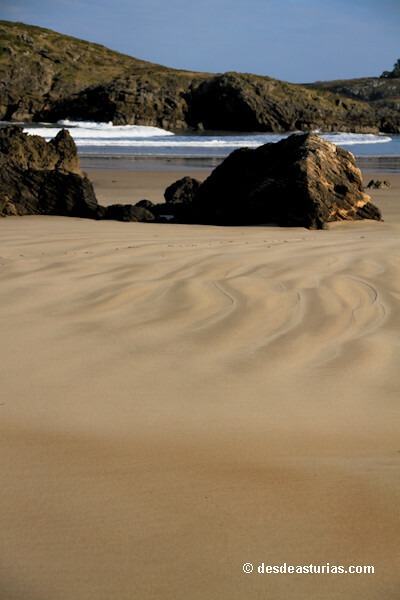 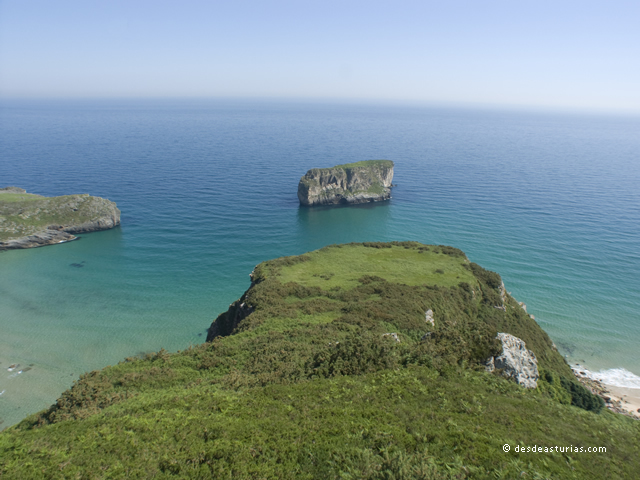 The coves are very famous in this coastal area, in fact, the number of visitors reaches far what one would expect. 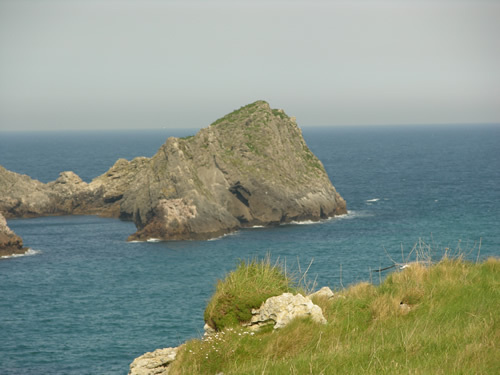 The size of the coves varies from the biggest ones to the really small ones. 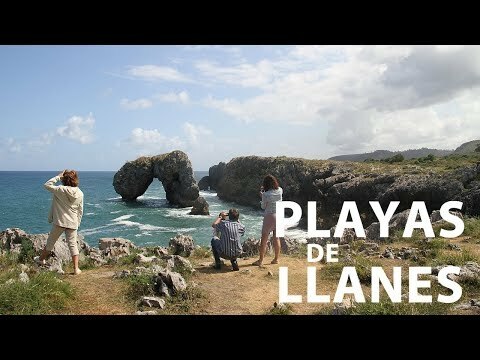 Along the 35 coastal kilometres of Llanes, one can find a lot of villages by the sea and numerous coves in each stop o our trip. 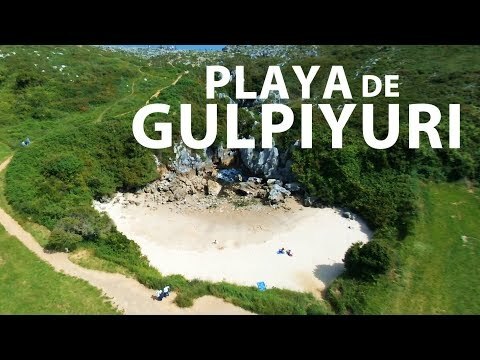 One of the smallest coves is located in the town of Buelna, and is called “Gulpiyuri” in the centre of Naves’village. 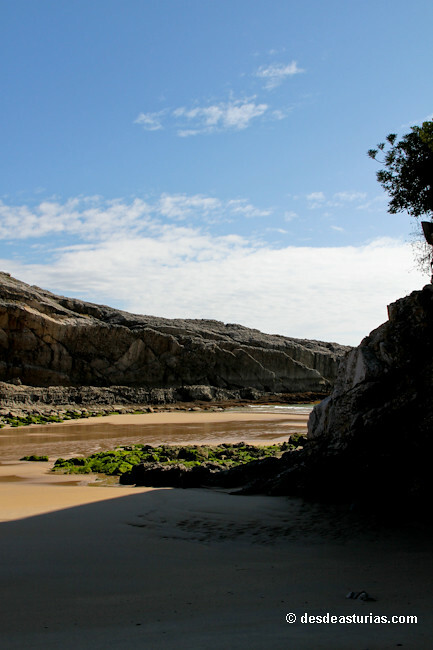 This small cove has been recently considered as a natural monument. 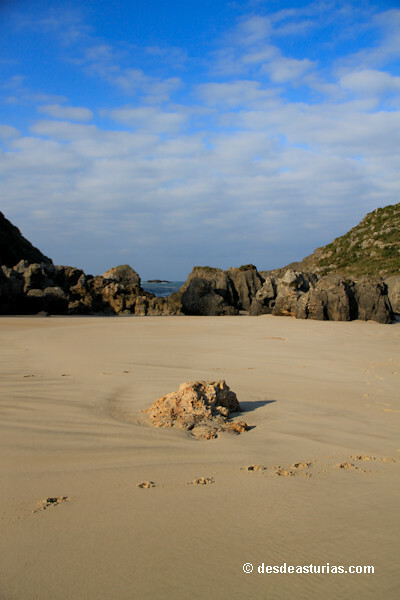 For instance, if one decides to swim over there during low tide, nothing more than sand surrounded by stones, will be found. 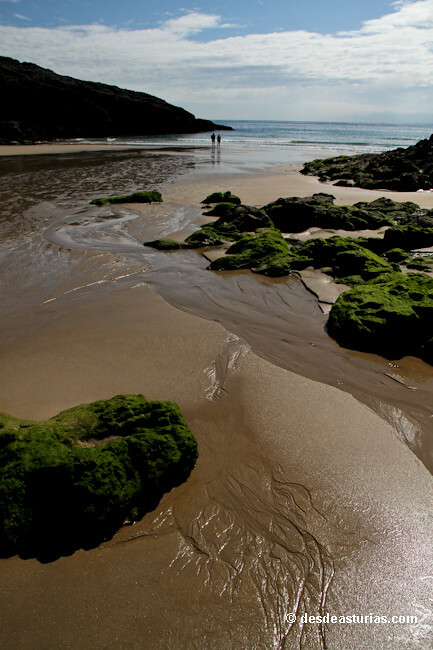 But, on the other hand, if the tide is high the sea will fill this quicksand transforming it into a kind of swimming- pool just in the middle of a meadow. 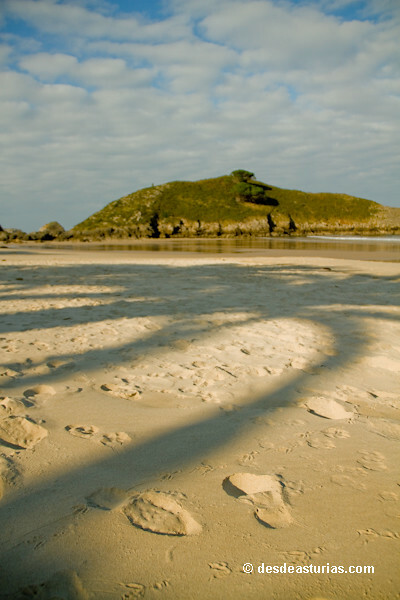 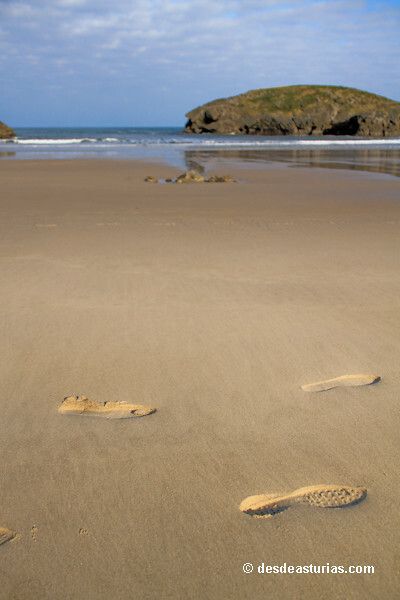 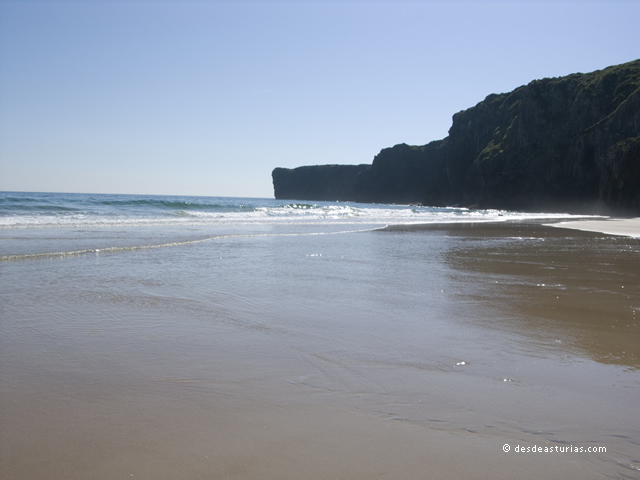 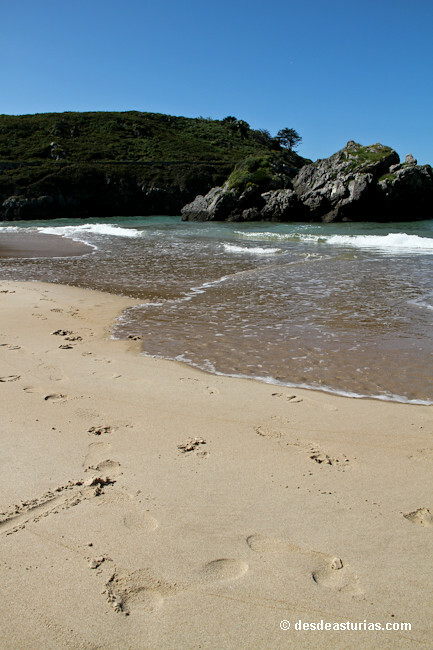 The length of beaches can vary from as little as 20 metres as in the case of Villanueva up to 1200 metres in the case of San Antolín. 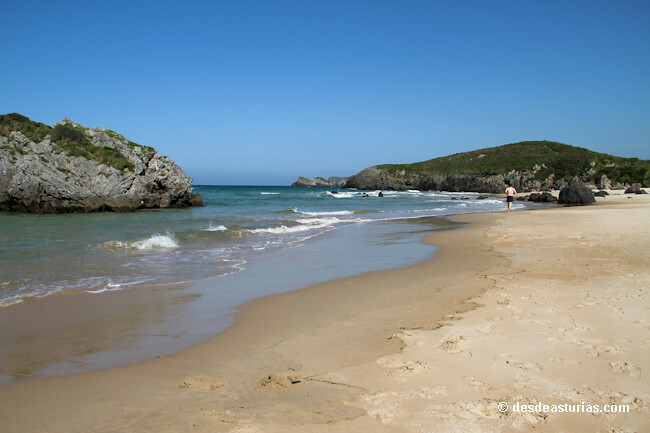 But, we can also find other beaches which are medium sized, as in the case of Vidiago with a length of 200 metres, Toró: 220 m., Andrín: 240 m., Barro: 250 m. (one of the most crowded during summer), Toranda: 300 m. (which was awarded a European blue flag), Ballota: 350 m., Cué: 380 m., Palombina: 300 m., Borizu: 400 m., Torimbia: 500 m., (a naturist beach) and the longest, El Portiello de San Martín: 750 m.
Most of these unforgettable places are not very urbanised, so the coast and beaches can be considered virgin in the sense that they have been not touched by men. 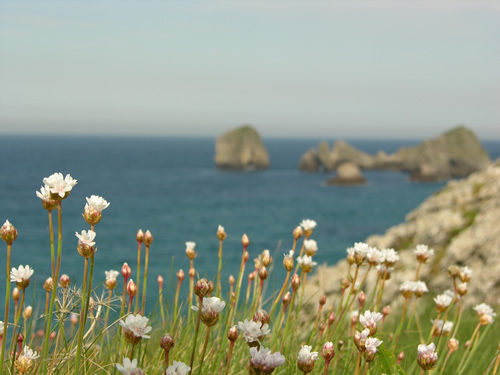 Taking this into account, we should respect the coastal site as if it were our own home, because if we caused any damage,these natural landscapes would never be the same, and the consequences could be irreparable. 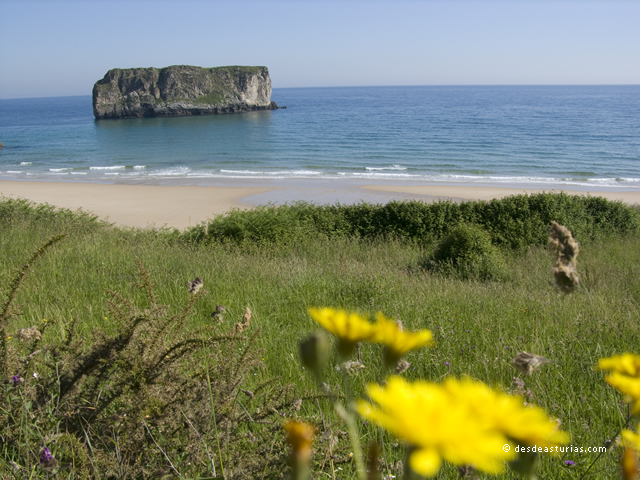 It is also important, not to visit them only during the summertime, when they are most crowded, because they are just as beautiful during the rest of the seasons. 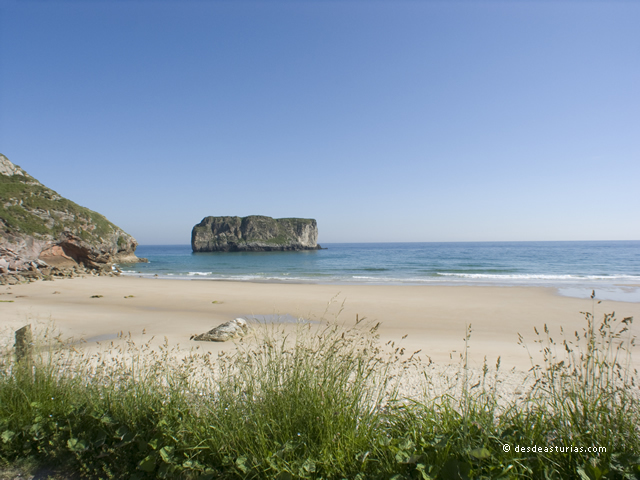 The beaches of Llanes should be considered a priviledge to visit at any time, always retaining their beauty and greatness. 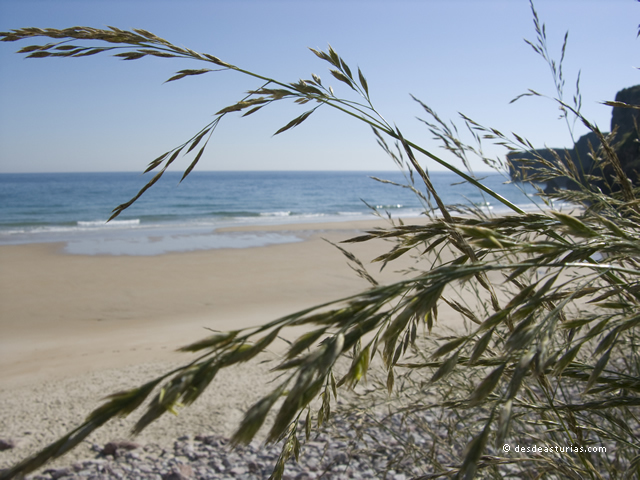 During Spring and Autumn, tourism tends to be low, but it is not impossible to have a sunbath during may, june or september because these months also have nice days and weather appropriate enough to enjoy the beach. 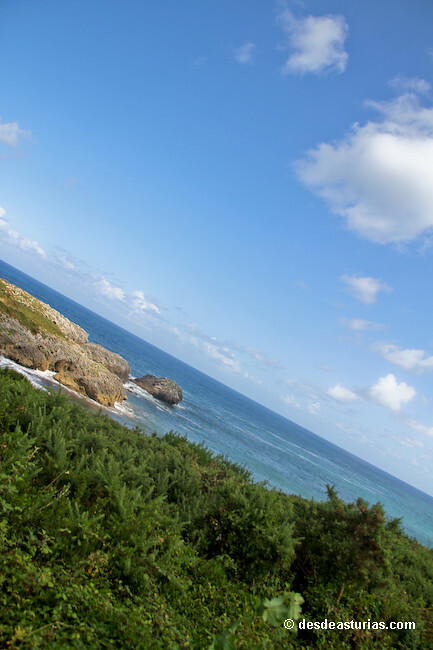 The best thing to do is to watch the forecast before you decide to go there. 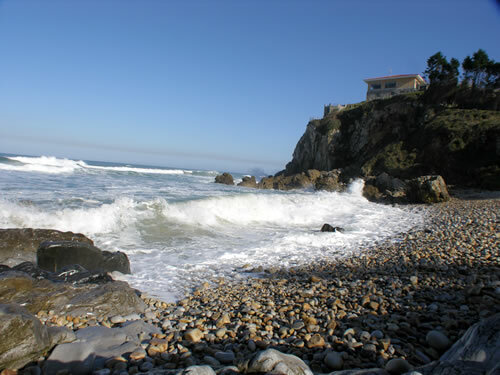 However, even this can never be certain and often weather predictions are incorrect, because the weather of this region is very changeable, yet this is part of the greatness of the region. 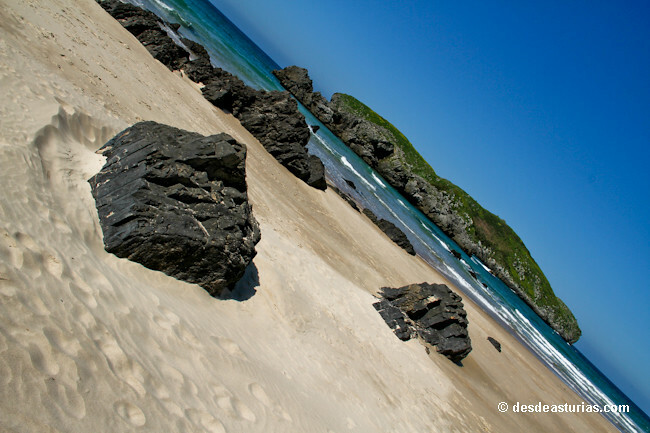 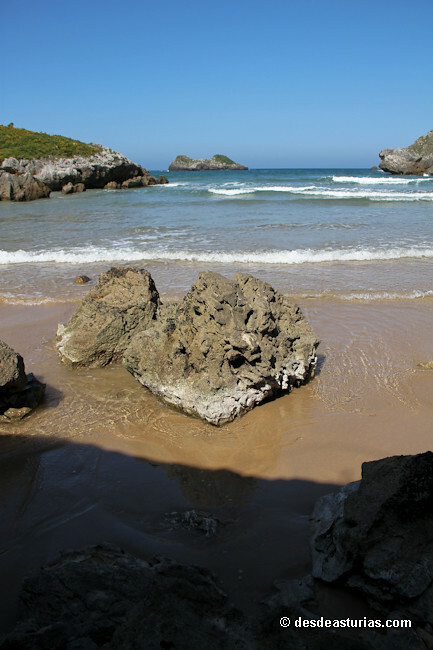 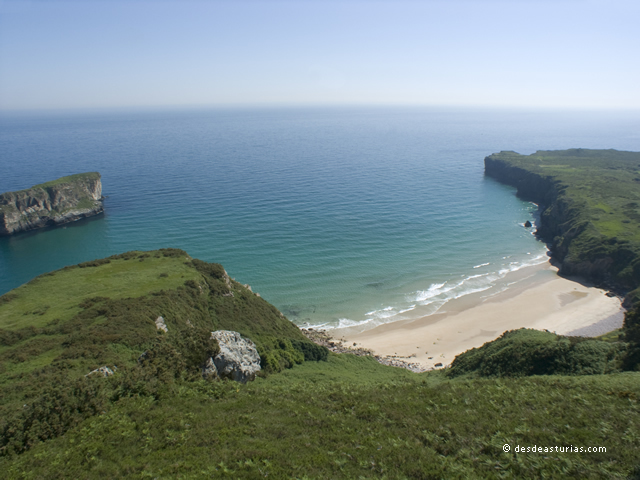 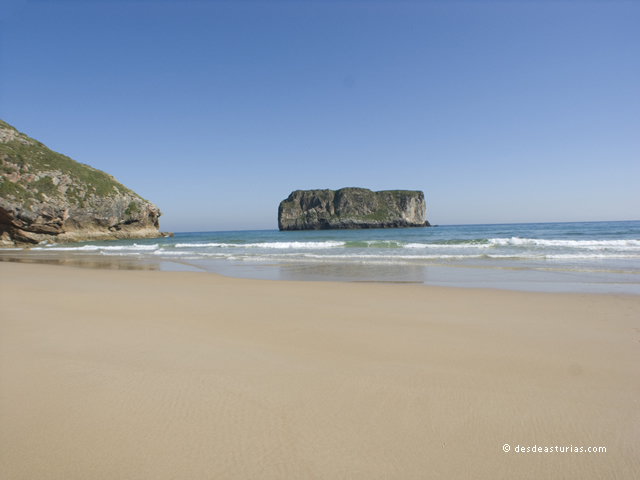 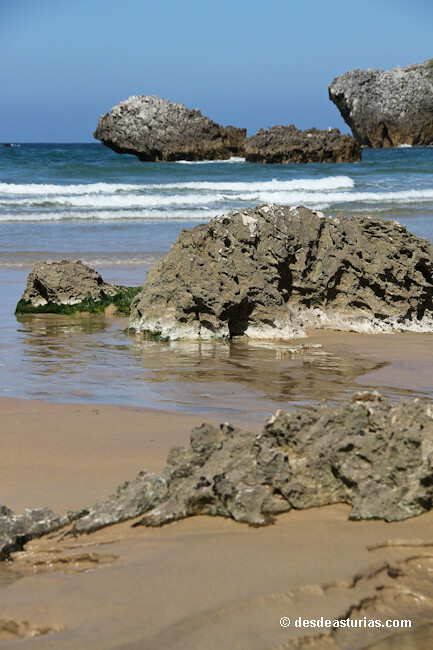 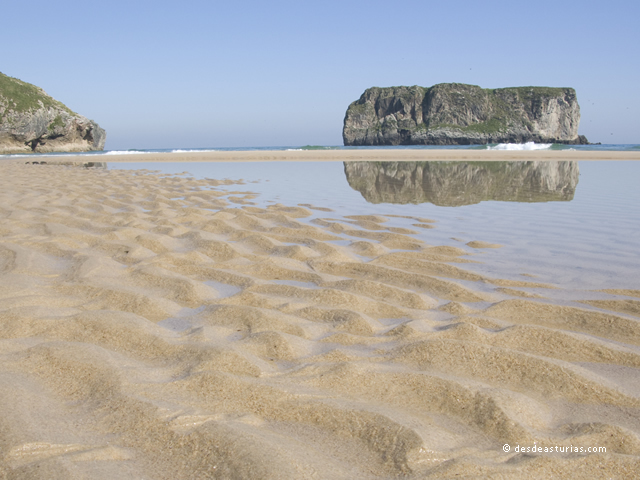 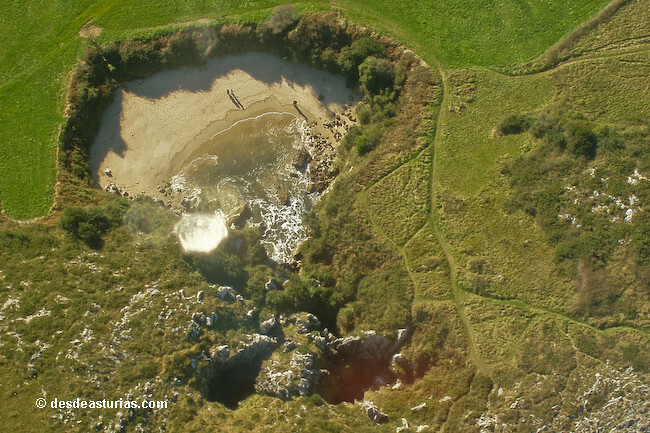 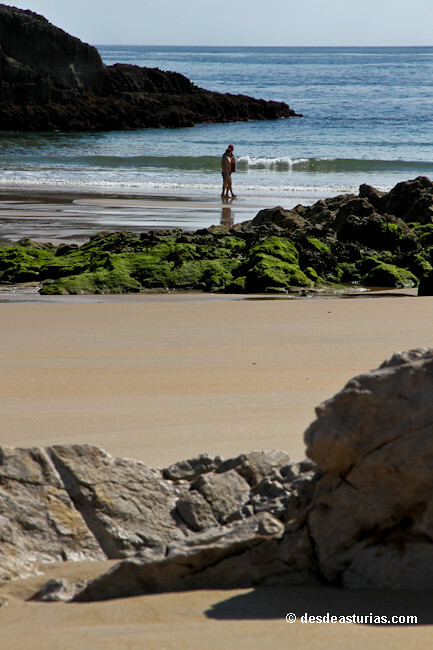 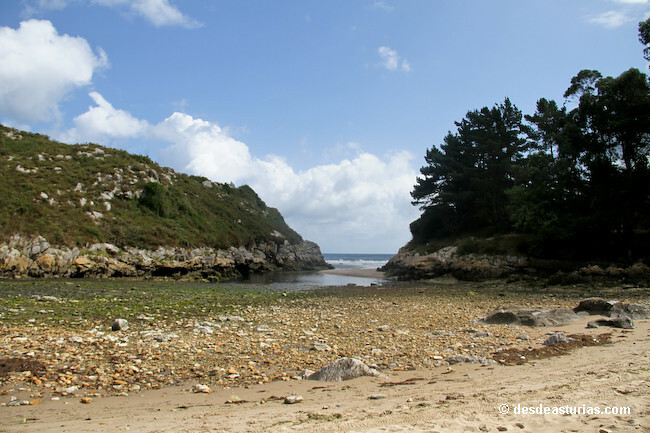 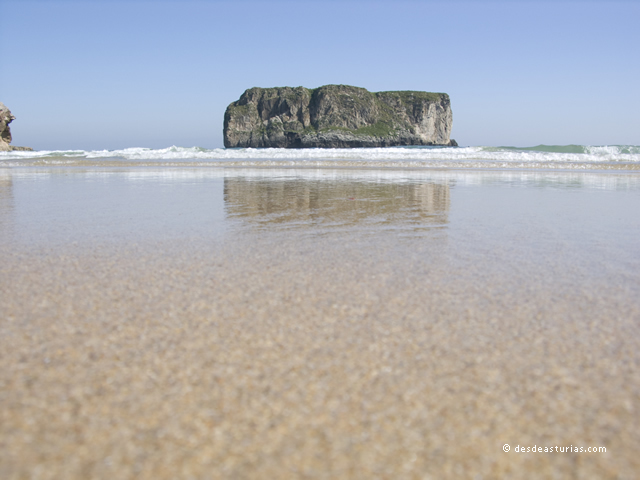 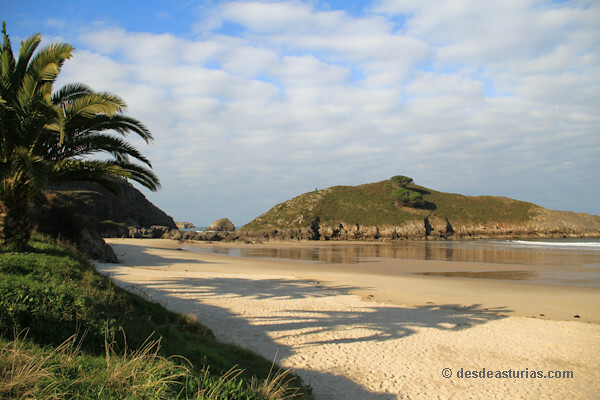 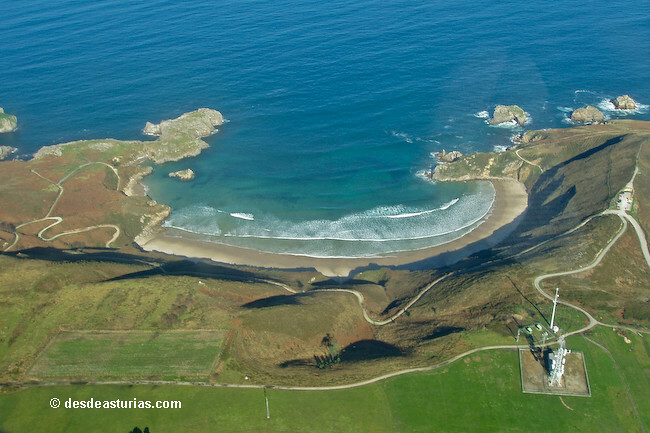 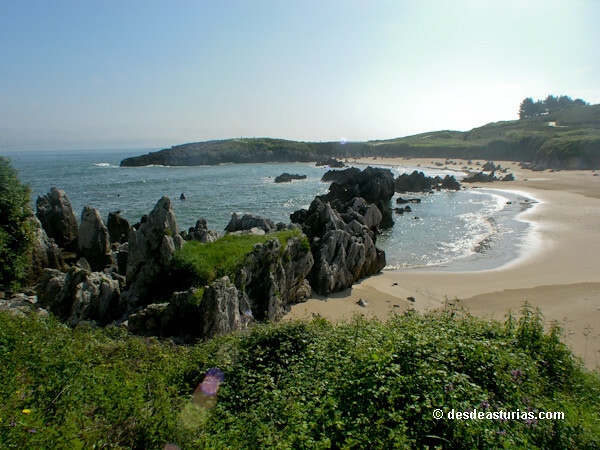 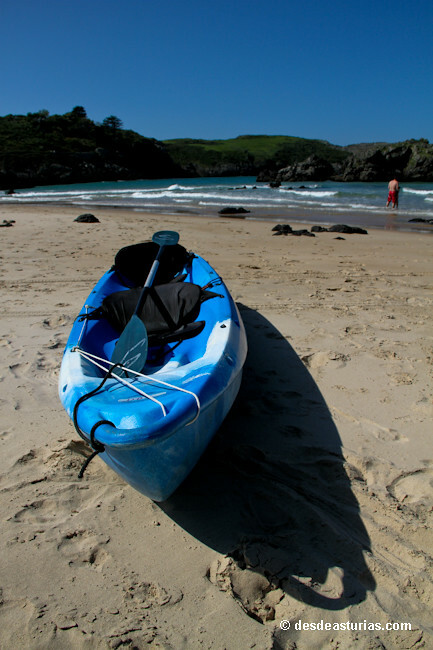 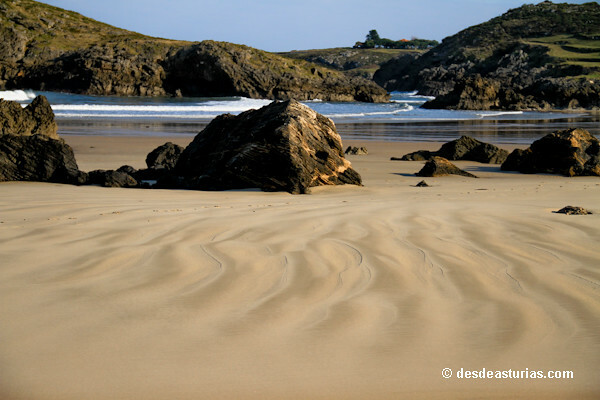 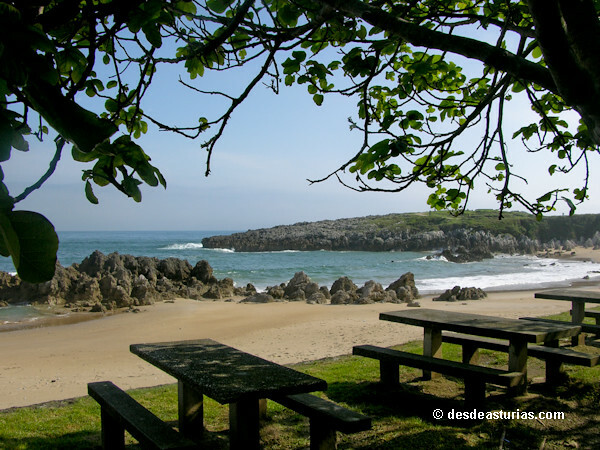 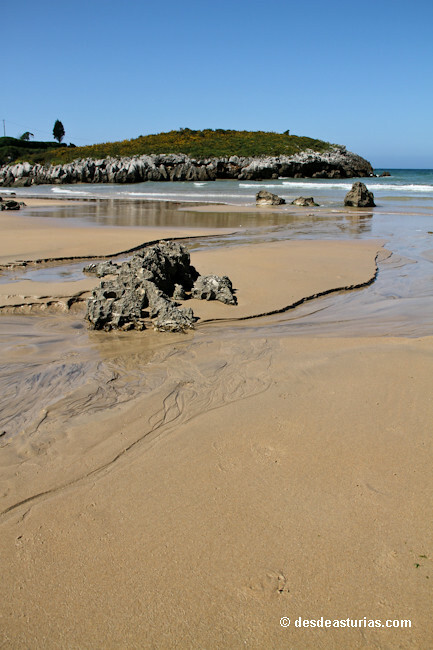 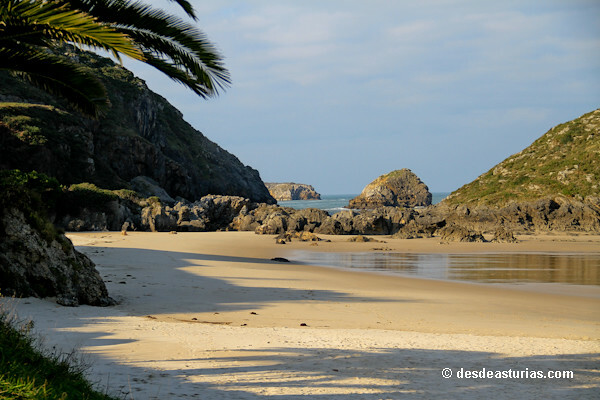 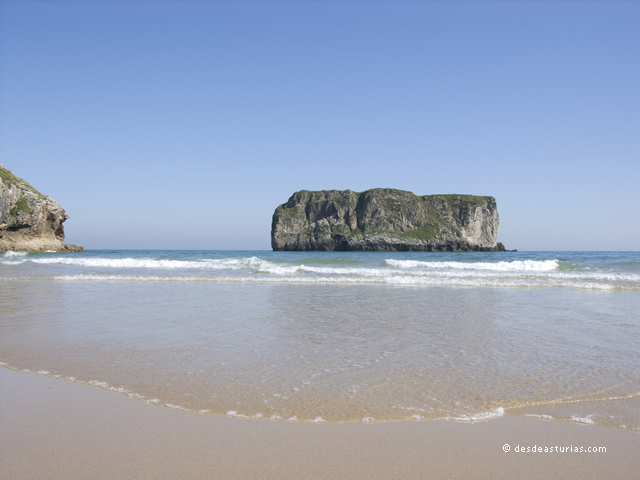 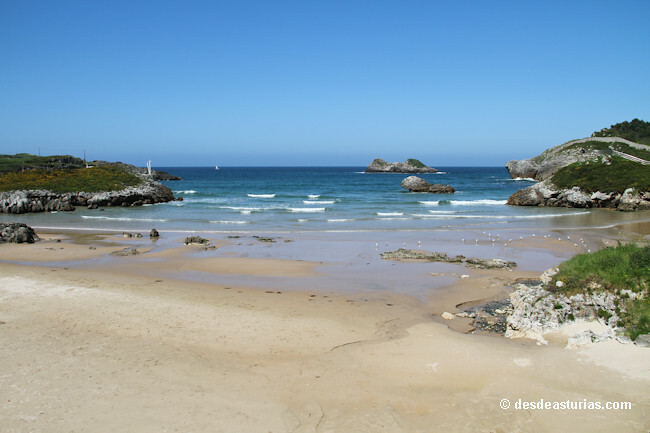 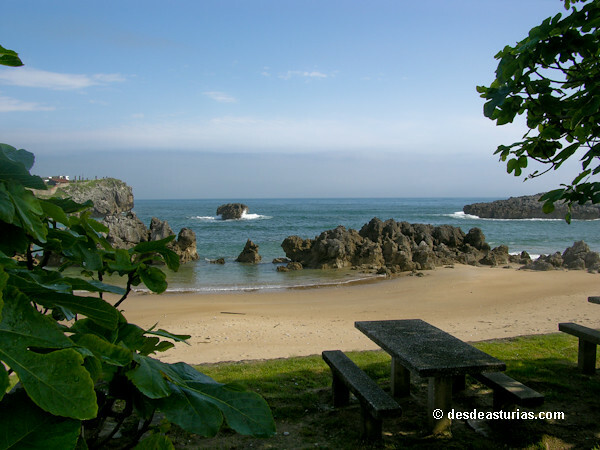 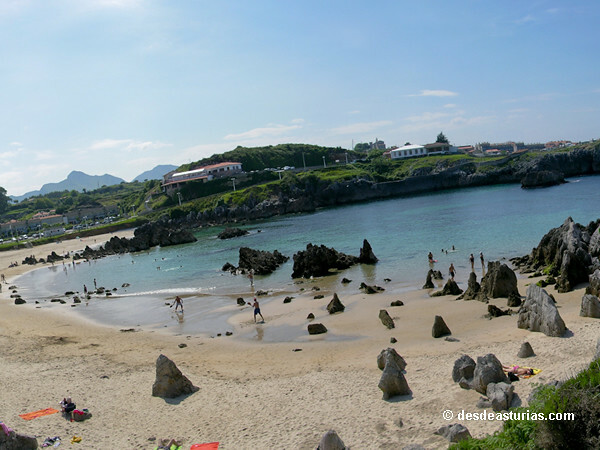 Many of the beaches in Llanes are strangely shaped, rather difficult to find in other places. 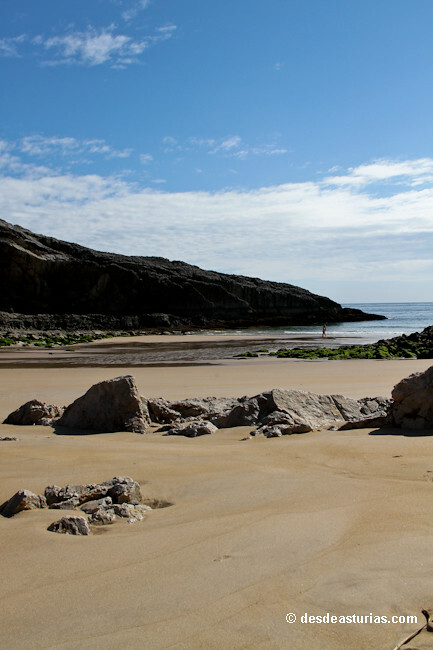 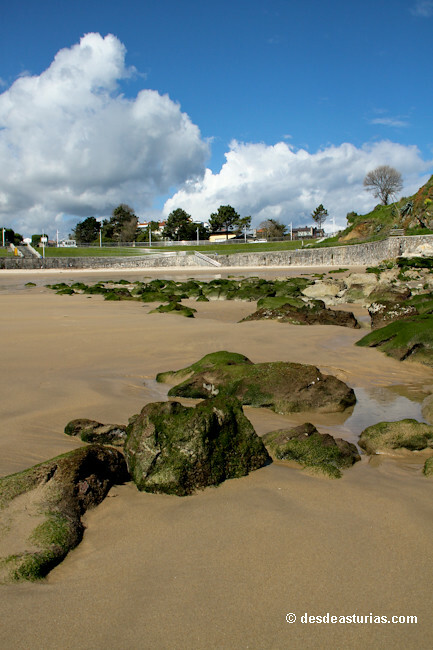 Usually, long meadows run alongside the beach itself, and it is not uncommon to find large rocks there as if they had been carved by a sculptor. 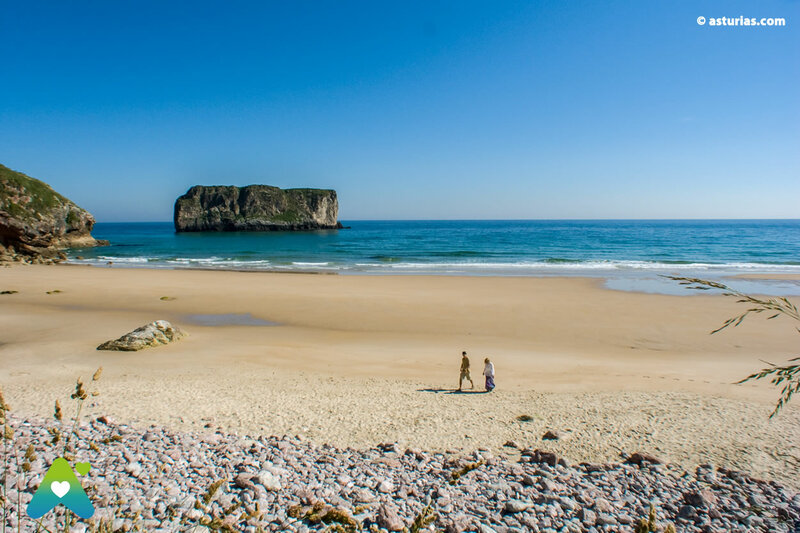 Commonly, in these kind of landscapes we can find rocky islands all over one of the most well known is the beach of Ballota, in which a huge rocky island is capriciously situated in front of the beach, creating a beautiful postcard image when looking at it from a birth’s eye view. 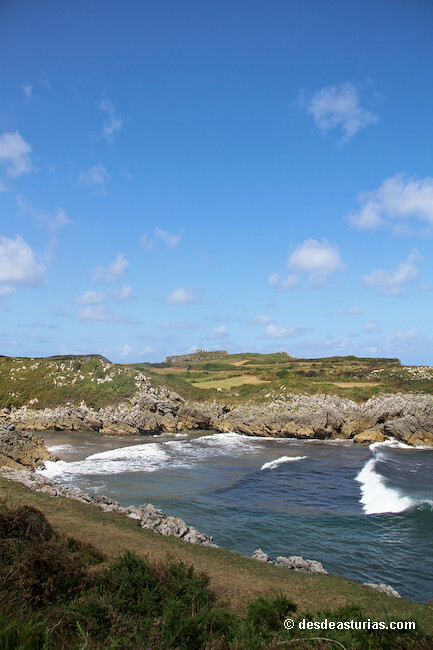 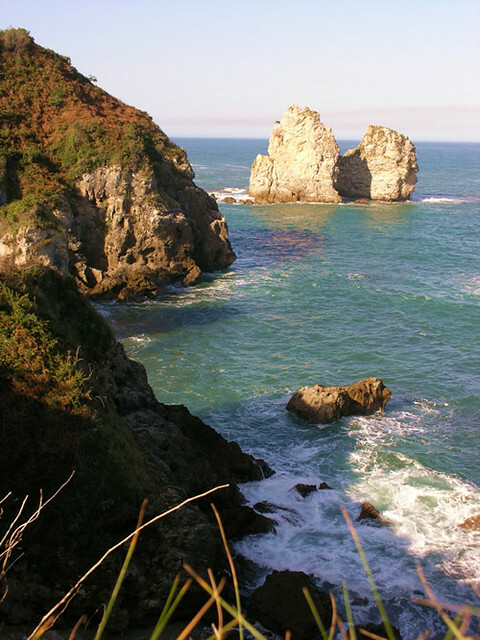 In addition, the beaches of Llanes share their space with other geological formations, eroded by the passing of time often showing natural bridges and, less common scenes could not be found in other places. 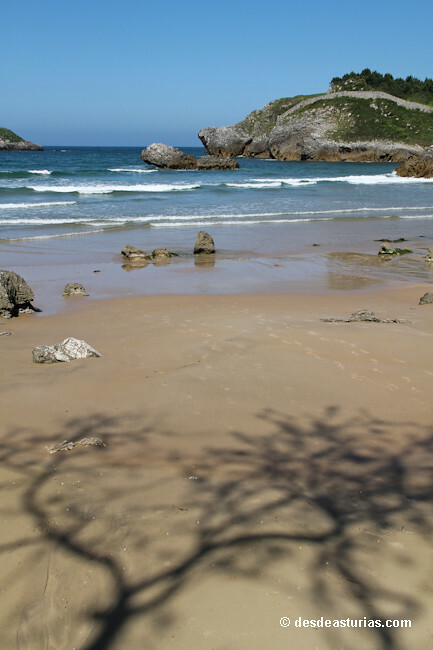 One of the most beautiful beaches here, is the one of Cuevas del Mar situated in the village of Nueva of Llanes, a visit to this place is never regrettable. 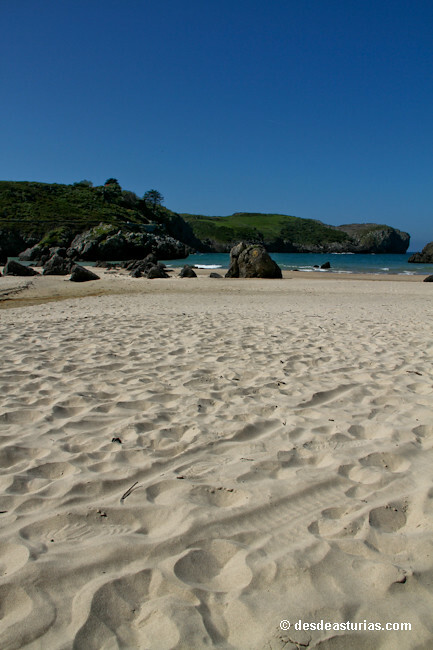 In these beaches the sand is white, and very fine due to the fact that the sea has beaten it over a period of many years. 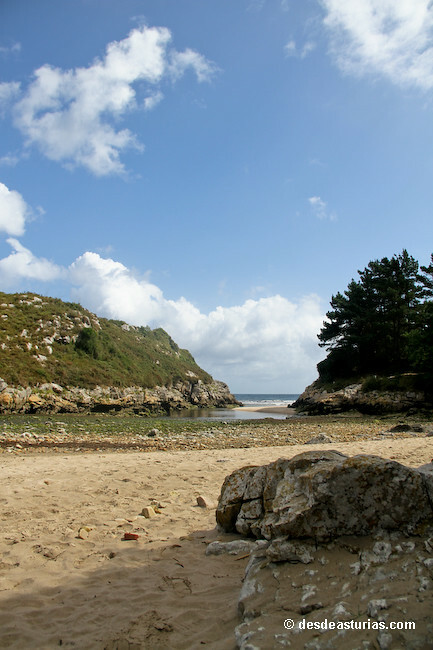 During the summer, swimming on these beaches used to be the greatest pleasure, because these coves are very safe. 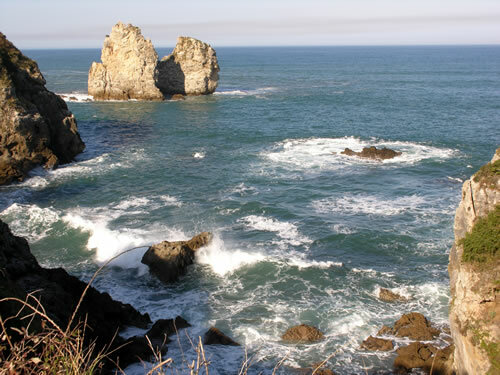 But those which are very open to the sea usually carry heavy waves, so as a result the weather is changing,it is advisable not to swim there. 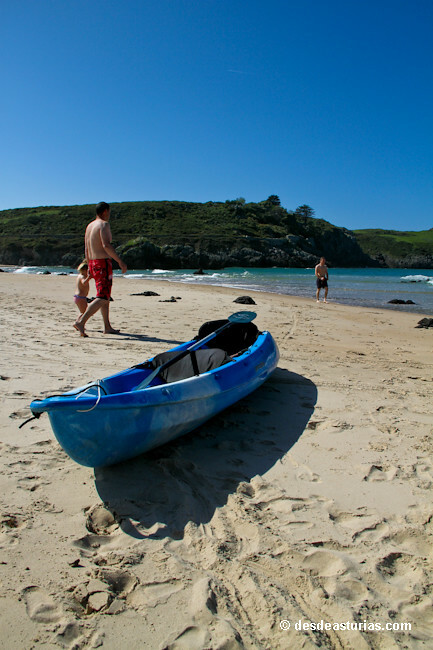 Most of the beaches usually have a lifeguard posts for ad ded safety. 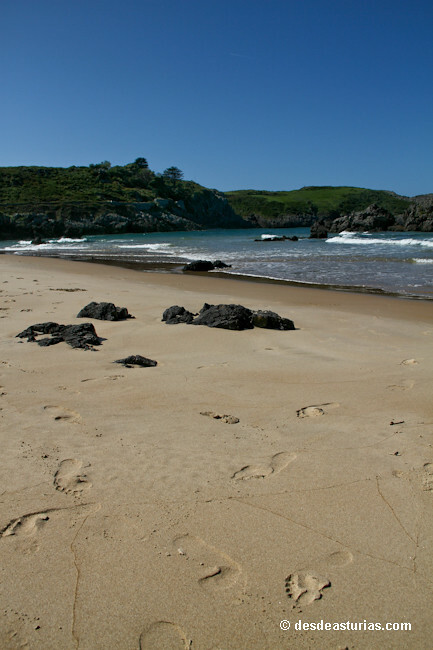 These places are easily accessible in most cases. 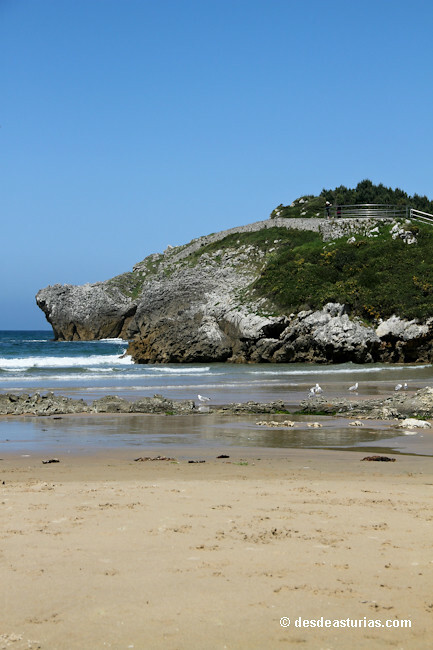 It is possible to drive a car almost on to the beach, and from this point, there is just a short walk to the beach. 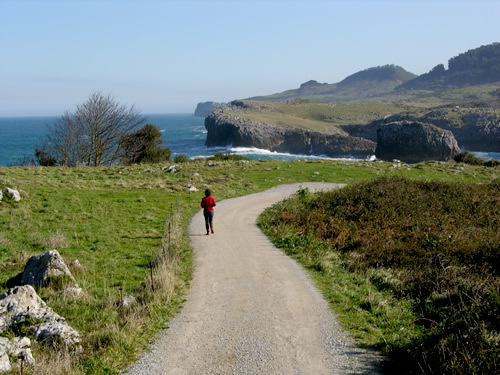 It is certain, that a few of them are very inaccessible and the only way to get to them is usually by walking, but this is only applicable to three or four of them. 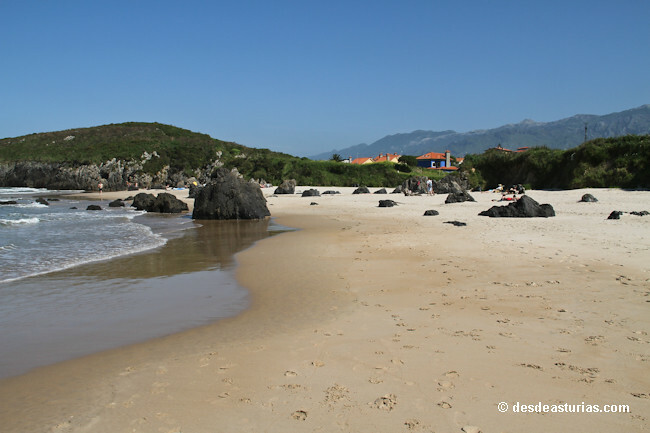 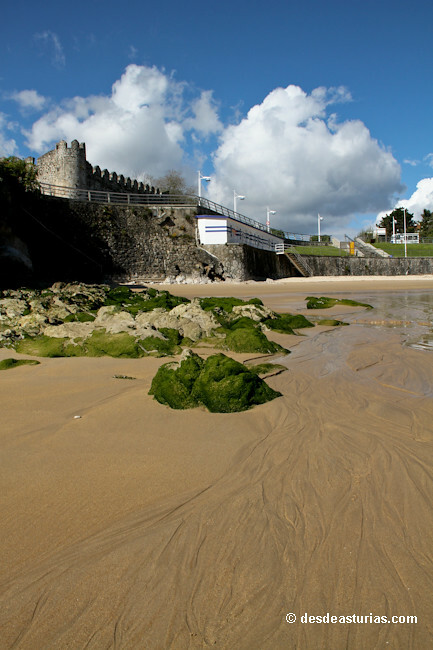 Some beaches are in the middle of villages in urban centres and for this reason, they are very well known by many tourists during the summer. 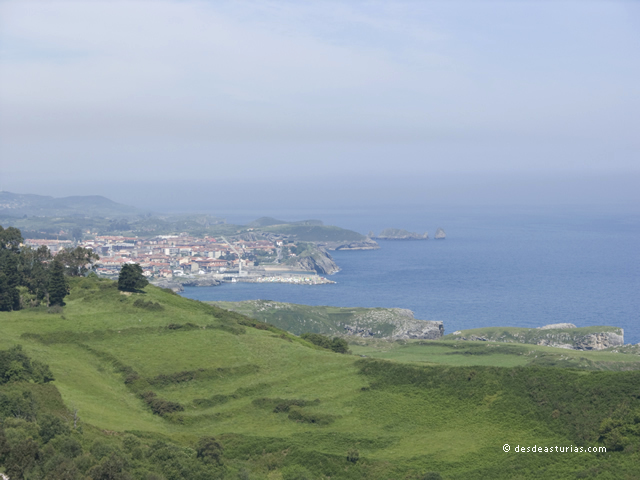 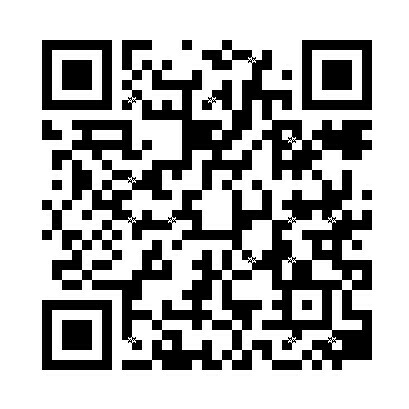 This is the case of the villages of Celorio, Miembro or Poo. 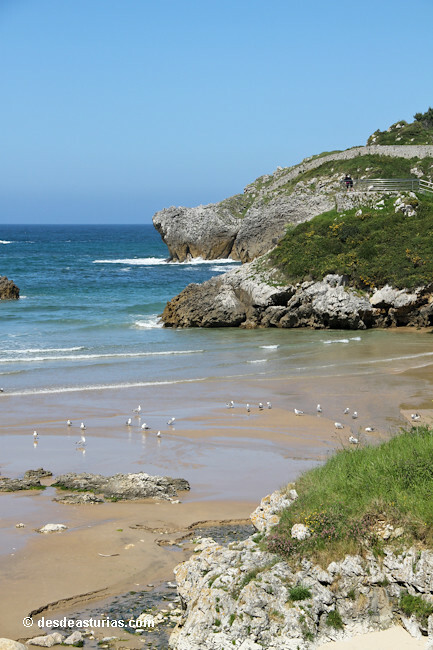 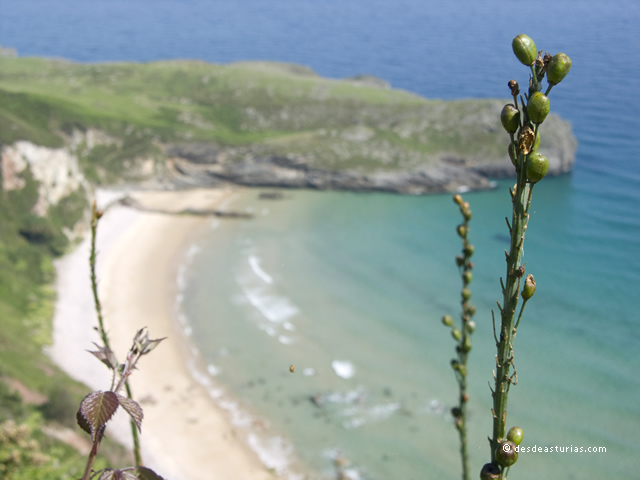 As well as enjoying the beach, we can also enjoy the local food from the village of Llanes. 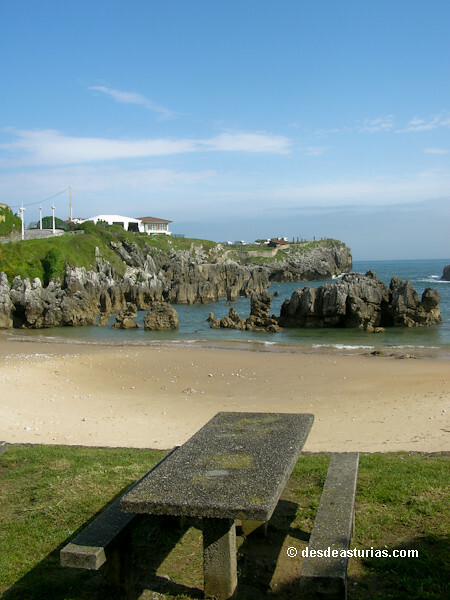 This village has many good restaurants with a wide and varied menu, and this helps to make our visit more tasteful.